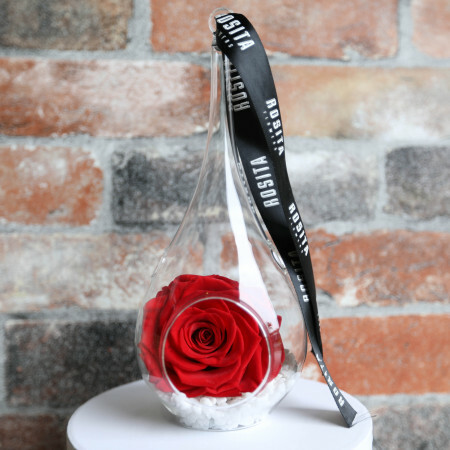 Our elegant and delicate preserved rose that can last from 6 months. featured in an elegant teardrop glass terrarium. *please note that preserved roses are very fragile and delicate. Do not water preserved roses. Base stone styles vary. Rainbow, Blue and Black preserved roses are available upon request.